Joshua MacFadyen is an Assistant Professor of Environmental Humanities in the School of Historical, Philosophical, and Religious Studies and the School of Sustainability. 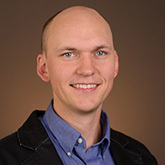 His work examines the social and ecological problems of energy in Canadian and U.S. agriculture, particularly during the transition from traditional to modern agroecosystems. By examining the long-run movement of agricultural commodity and energy flows, MacFadyen's research expands our understanding of coupled land use and sustainable food systems. It asks when agriculture became global, hyper productive, and -- many would argue -- unsustainable, and what the past can teach us about new solutions in food systems. His work on energy consumption in Canada demonstrates that our sense of the transition from organic to fossil fuels is premature; due to cold climates, stable woodlots, and the centrality of livestock and other animals, biomass remained the primary energy flow in most rural and some urban areas until the mid-twentieth century. MacFadyen's latest publications include chapters in several environmental histories of energy, food, and historical GIS, as well as articles in Business History, Regional Environmental Change, Agricultural History and Urban Historical Review / Revue d'histoire urbaine. In 2016 he coedited Time and a Place: An Environmental History of Prince Edward Island (McGill-Queens University Press), and his first monograph is an environmental history of flax and linseed oil in North America (McGill-Queens University Press, forthcoming). MacFadyen conducted his PhD at the University of Guelph (Ontario), his MA at the University of Waterloo (Ontario), and his BA at the University of Prince Edward Island (Charlottetown) and Trent University (Peterborough). He also conducted postdoctoral fellowships in two leading environmental history programs: a Social Sciences and Humanities Research Council of Canada (SSHRC) postdoctoral fellowship at the University of Western Ontario (where he was also the project coordinator for NiCHE: Network in Canadian History & Environment), and a Sustainable Farm Systems postdoctoral fellowship at the University of Saskatchewan. MacFadyen is also involved in several community engagement projects. He conducts participatory mapping GIS projects for indigenous and other communities; he co-edits the The Otter ~ La loutre blog on Canadian environmental history; and he co-produces the Geospatial Historian, a set of online tutorials to help build practical skills in digital mapping and historical GIS. MacFadyen, J. D. 2005. The Perine flax and lumber mills in Ontario, 1854-1871. Waterloo Historical Society 93(2005):51-75. MacFadyen, J. D. 2016. Hewers of wood: A history of wood energy in Canada. Pp. Chapter 5 In: Sandwell, R. W. ed., Powering Up: A History of Fuel, Power and Energy in Canada, 1800-2015. McGill-Queen's University Press. ISBN: 978-0773547858. MacFadyen, J. D. 2016. Spinning flax in mills, households, and the Canadian state, 1850-1870. Pp. 76-102 In: Murton, J., D. Bavington and C. Dokis eds., Subsistence Under Capitalism: Historical and Contemporary Perspectives. McGill-Queen's University Press. ISBN: 978-0773547001. MacFadyen, J. D. 2016. The Fertile Crescent: Agricultural land use on Prince Edward Island, 1861-1971. Pp. Chapter 7 In: MacDonald, E., J. D. MacFadyen and I. Novaczek eds., Time and a Place: An Environmental History of Prince Edward Island. McGill-Queen's University Press. ISBN: 9780773546936. MacFadyen, J. D. and W. Glen. 2014. Top-down history: Delimiting forests, farms, and the census of agriculture on Prince Edward Island using aerial photography, ca. 1900-2000. Pp. 197-233 In: Bonnell, J. and M. Fortin eds., Historical GIS Research in Canada. University of Calgary Press. ISBN: 978-1552387085. MacFadyen, J. D. 2013. Drawing lines in the ice: Regulating mussel mud digging in the southern gulf of St. Lawrence. Pp. 99-119 In: Campbell, C. and R. Summerby-Murray eds., Land and Sea: Environmental History in Atlantic Canada. Acadiensis. Fredericton. ISBN: 978-0919107243. MacFadyen, J. D. 2015. Hewers of wood: A history of wood biomass energy in Canada, 1850-1950. Poster presented at the European Society for Environmental History, Versailles, France. MacFadyen, J. D. 2014. A cold confederation: Urban energy linkages in Canada. Presentation at the The Dominion of Nature: Canadian Confederation and the Environment Workshop, July 31, 2014, Charlottetown, Prince Edward Island.